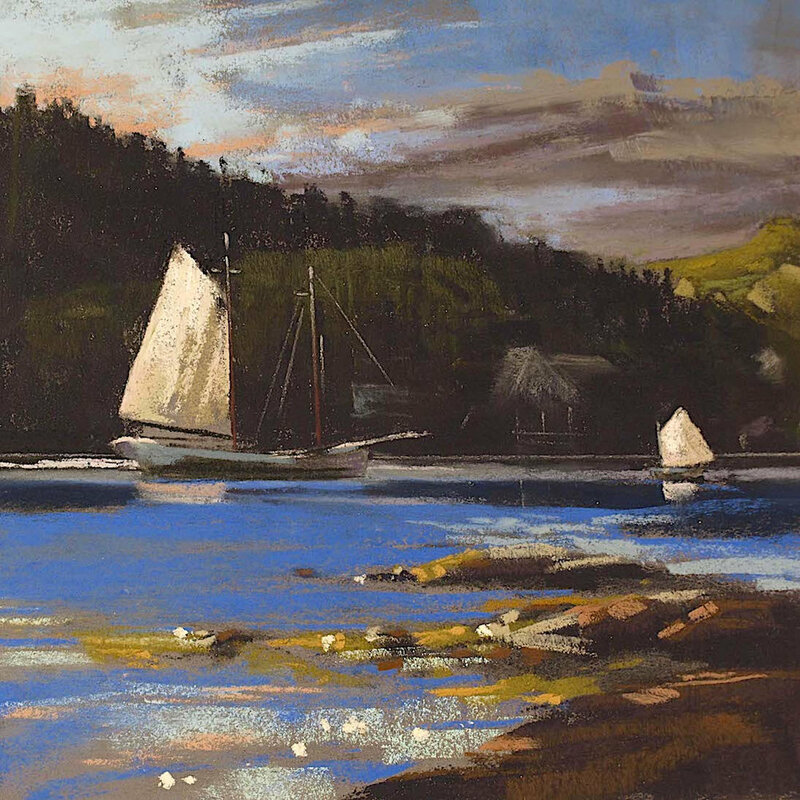 Larry is a New England based landscape artist working both in-studio and en plein air. Wherever sea and land meet sky in a dramatic way, he will either be painting…or wishing he were. Cape Ann, the North Shore, Maine’s coast and islands, Vermont hills, the Pacific headlands and Sierra foothills, and Swiss Alps all figure in his work. 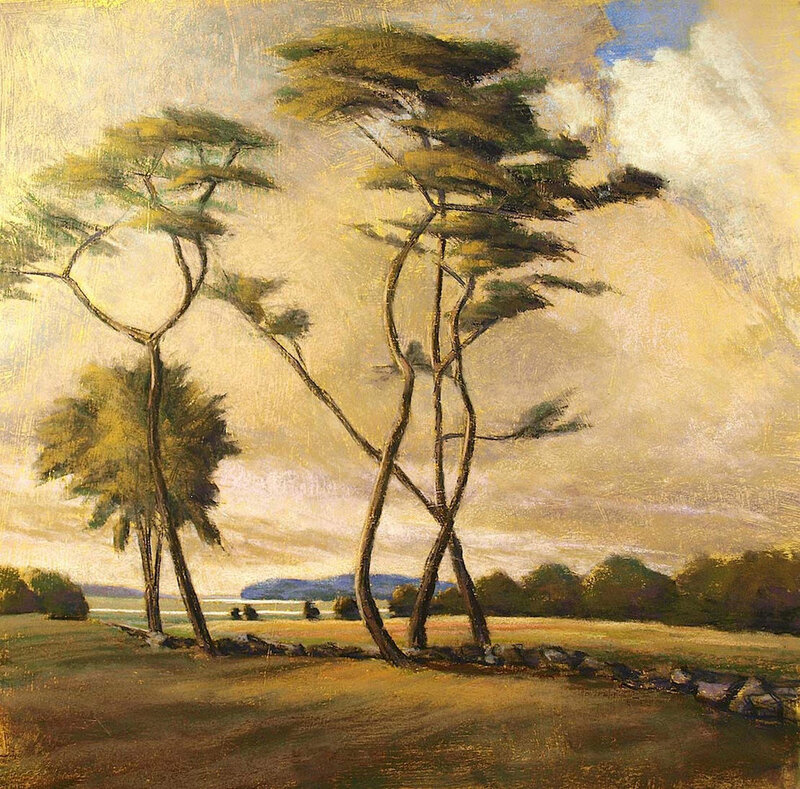 Informed by his training as a geographer and mapmaker, and inspired by the California impressionists and Swiss alpine painters, Larry strives to capture light, topography, and the forces of nature in views that he hopes will elicit viewers’ connections with the land…inspiring us to approach our surroundings with a lighter hand. 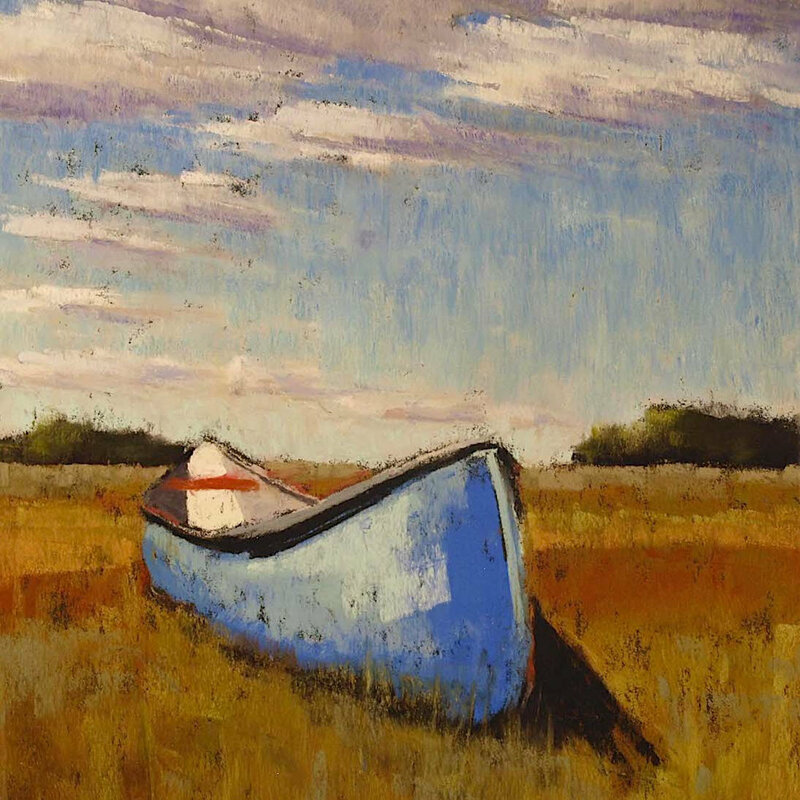 Larry works with soft pastels, painting on various sanded papers that impart ‘incidental’ tones and textures to the finished pieces. 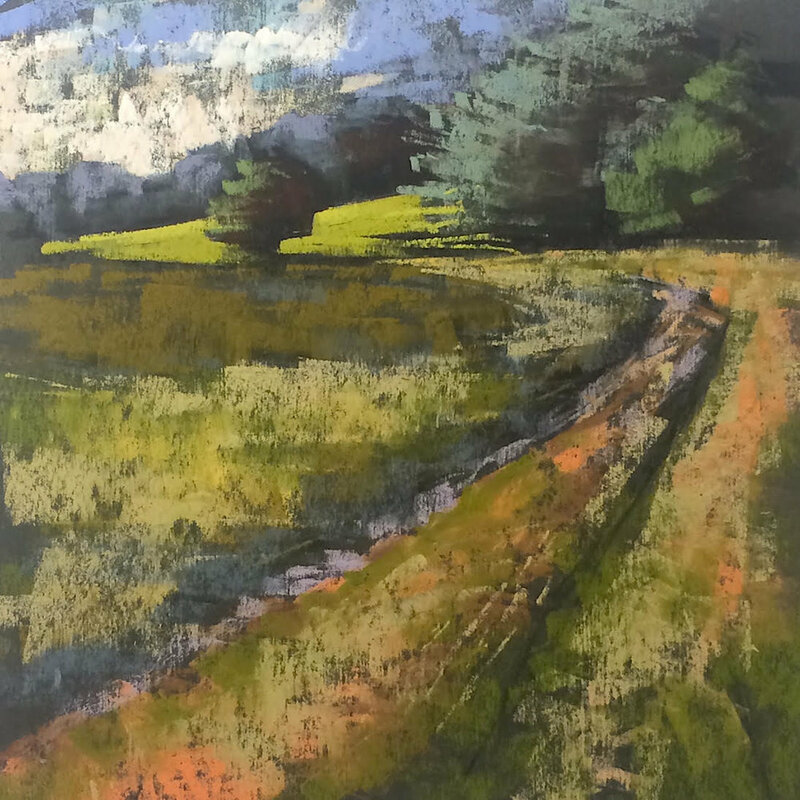 Immediate, direct, and easy to move around with outdoors, his pastels encourage exploration of the area ‘between too much detail and just enough’. 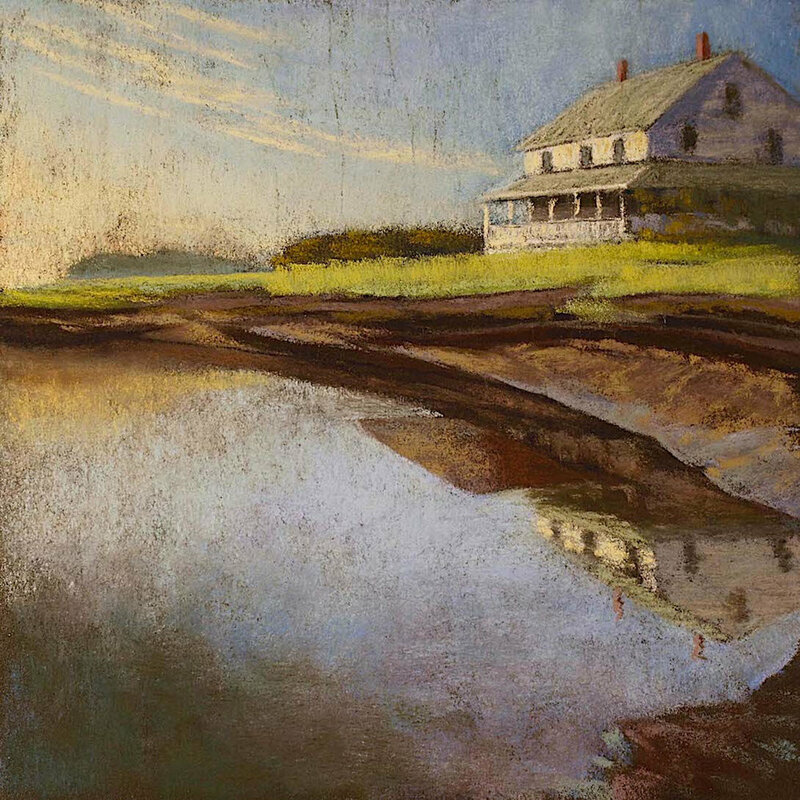 His paintings have earned him recognition from the Pastel Society of America and the International Association of Pastel Societies, and he is a frequent exhibitor at art associations in Concord, Gloucester, and Rockport, and he shows regularly at the Crane Castle and Codman Estates’ annual exhibits. 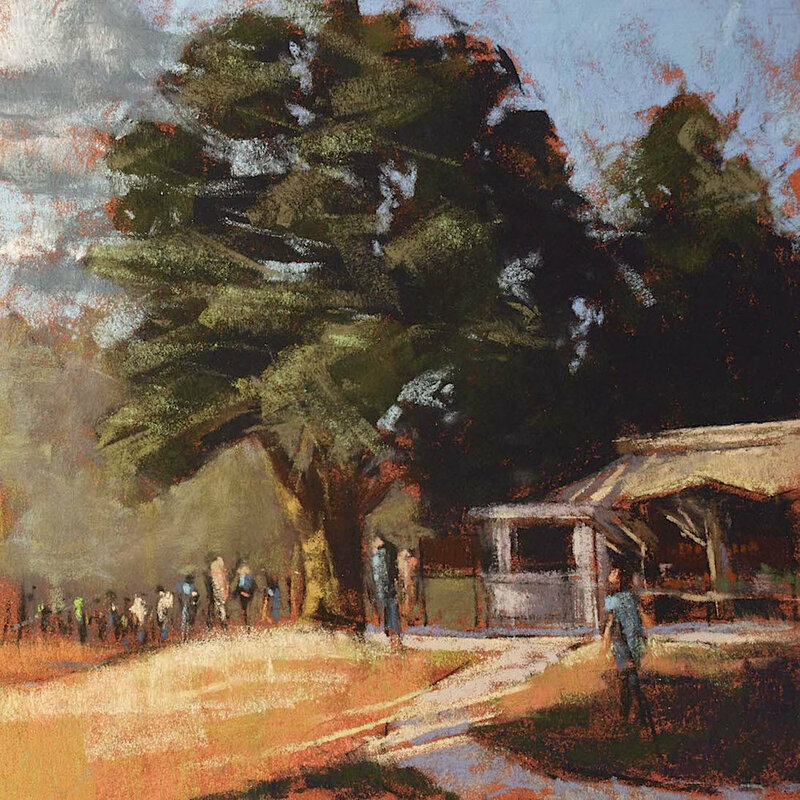 Larry conducts workshops on getting started with pastels and working en plein air. I remember clearly when... as a young child my painter grandfather taught me to stop, look (really look), and put brush to paper. When the light at low angles, sun beams sweeping like stage spots across distant marshes, glaciered peaks, windswept islands, and the forces of nature that envelop us…all said ‘paint me!’. When I touched my first pastel, made marks, experimented...and began feeling more in touch than ever before with our land.